My new camera is the Fujifilm X10! I know it's not a Canon! Anyone who knows me knows I'm a Canon fan and would have chosen the G1X instead but the truth is . . . I was surprised myself with this unusual choice! So why the unlikely choice? Well, let me tell you why . . . But first, let me answer the question of why anyone with a highly specified DSLR possibly want a "lesser" camera? I'm a firm believer of "the right tools for the right job." Sometimes, the job is not actually a job but a personal enjoyment - travel, social meetings, or just simply walking around. Or maybe a day in the office. Carrying a DSLR to such "jobs" often gets in the way of enjoying such activities primarily because of their considerable bulk and weight. So I need a more compact camera setup. But I also want something that will allow me to take pictures the way I do with my DSLR. Camera phones are getting better, I know, and allows you to share your pictures instantly with wi-fi tech. I do use them and love them for what they do but I still want something that takes pictures better than a cameraphone. And so with that question out of the way, we can now begin. When I sold my Canon Powershot G7 almost 2 years ago, it left a hole the size of compact-camera-for-when-I-don't-need-a-DSLR inside my gear bag. My original plan was to replace it with a Powershot G12 but new developments in technologies being offered in the mirrorless camera system market made me think otherwise. The Olympus Pen and Panasonic Lumix cameras were interesting concepts. However, I was never a fan of the micro 4/3 system so those Olympuses and Panasonics were outright ruled out. What attracted me were the APS-C sensors of the Sony NEX-5n, the Fujifilm X100 and the slightly smaller than APS-C sensor of the Canon Powershot G1X so those three made it to my shortlist. First the Sony. What attracted me to the NEX-5n was the physical size of the body and some well designed lenses. It was the most compact of all mirrorless and the design is rather stylish too. But then investing on the NEX system means buying new lenses, accessories and flash systems that are not compatible with my existing Canon system. While I did not wrote it off my shortlist, I decided to wait a while and see if Canon will enter the mirrorless market. 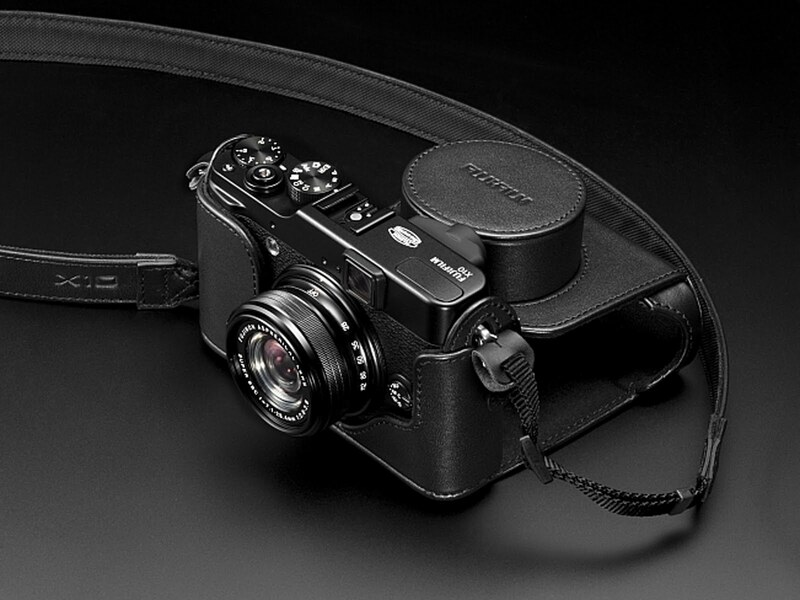 The Fujifilm X100 was widely praised as a true photographer's compact. Much have been said about its excellent build quality and finish. Made to last just like the way film cameras were made in the olden days. The APS-C sensor paired with a fast and topnotch 35mm equivalent f/2 fixed lens. It's been called a poor man's Leica for that matter. But this camera is just not for me. I don't know if I could live with a single focal length lens and the price is just beyond what I'm willing to spend on. It's the kind of thing I buy out of desire, not of what it can do. (But it sure can do what it was made to do.) And it's just ot what I am looking for . . . so I ruled out the X100. And now the G1X. I have to admit, when this camera was first announced, I said to myself, "Finally, the high resolution compact I am waiting for." Having owned a G7 and having held a few G12's, I know that its build quality will be just as good if not better. The G12 was the perfect compact for me, except for its sensor size and so with an APS-C sensor on the G1X, I should have no further reason to complain about, right? Well . . . no. As soon as commercial units hit the stores, reviews began to appear around the internet. Although I did not find concern in criticisms about its looks and the rather hefty size, what gave me concern was the negative comments about it's AF system, the rather slow fixed zoom lens and the optical viewfinder that's useless and more like a joke in this age of hi-res EVF. And there is no accessory EVF available for this camera. The sensor is large - yes it's near APS-C size - but the small aperture lens means it is not possible to achieve bokehlicious shots with this camera. F/2.8 is possible only at the lens' widest focal length. I'm a people shooter, not a landscape photographer. Bokeh is that important to me. The AF system is also slow and outdated. The lens zoom mechanism is electric driven, awkward and not the manual rings preferred by photographers for whom this camera is supposed to be intended for. To sum it all up, apart from its large sensor, the G1X is still essentially a point-and-shoot. I would probably not mind if better offerings and performances were not available from its competitors. But they are, and that's not a very encouraging thought for Canon. The G-series, in my book, is still the king of premium point and shoots. But I'm looking for something more now. The G1X should have been that something but it's just not, so those negative points kinda broke the deal for me. So why the X10, then? To be honest, I did not even gave this camera any attention because of its small sensor. I thought, if the G1X, with a large sensor, did not make the cut then the X10 could not be possibly any better. But it is. One of my friends brought it to a photoshoot - heck, it was the camera he was using for the entire shoot, available light and even with strobes. I began to get curious and had a look the LCD screen at the pictures he was producing with it and . . . hmmmm . . . they look pretty good. Although I know all pictures look good from any LCD screen from any camera manufacturer. But the camera itself looks good, and felt good in my hands. That was enough to stir up my curiousity and started researching on what this camera is all about. Apparently, the X10 is not all style - it actually has substance, it's got soul. It's the kind of camera that inspires creativity. For anyone who's held an old film camera - rangefinder or film SLR - before the age of autofocus, this camera upon holding it, will paint a smile on your face, even if you decide not to buy it later. So it looks good, it feels good, it's got all the controls I want and need and it's got all the bells and whistles to keep its owner happy. But are the pictures any good? I'd say lovely. Not DSLR lovely, but lovely. The sensor, although small, perfectly matched with the all glass high quality fast zoom lens to produce some clean files at low ISO and acceptably good files up to ISO 800. The ISO 1600 files are good enough for me although maybe not for some. Oh . . . and the bokeh shots made by that f/2.8 lens . . . something not possibly achievable with the Powershot G1X. That alone pushed me to the edge . . . and I was sold. It's been with me for less than week now and I'm still learning how to use it optimally. While I'm finding the EXR mode pretty amazing, I want to use it manually and serve me as more than just a "social" camera. It's a different system and speaks a different language from the Canons I am used to. If it proves to be as good as I think it is, I'll probably let you know about it. Until then . . .